2011 Zone 2 Finals. Pictured (R to L) Maggie Farrell, Emma Wasson, Leah Uliano, Heather Ercolano and Susie Pew. Association. The team is open to anyone in grades 6-12, though younger riders are welcome to join and may compete when they reach 6th grade. horse. Host teams provide the horses and tack. Horses are then assigned to riders randomly. qualified for zone finals in Alfred, NY. Team Captain Heather Ercolano also qualified for zone finals individually in Open over Fences and Open Flat. 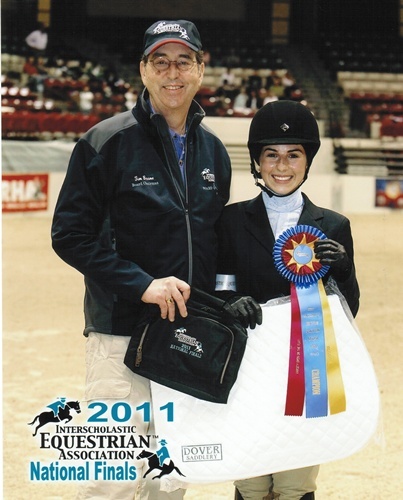 Heather went on to reach IEA Nationals in Maryland where she was Champion in Open Equitation on the Flat. 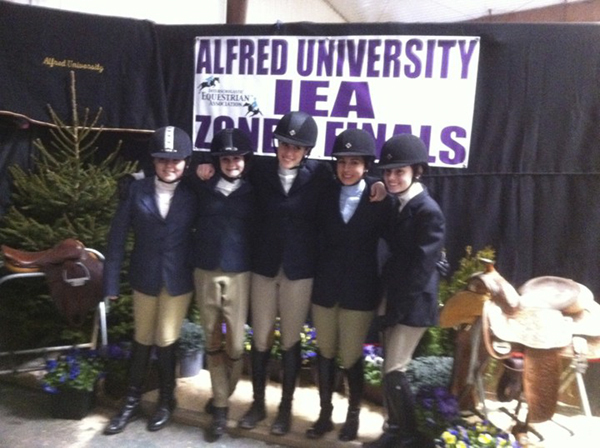 The following year the Upper School Team again qualified for Zone Finals in New Jersey. In 2013 the Upper School Team were High Point Team for the Region. In 2014 the Upper School Team were Champions at Regional Finals and are headed for Zone Finals in Pennsylvania. In 2016 both the High School and Middle School Teams were Champions for the regular season. In 2017 the Middle School Team was Champion for the regular season, Champion at Regional Finals and at Zone 2 Finals the Team qualified for Nationals. 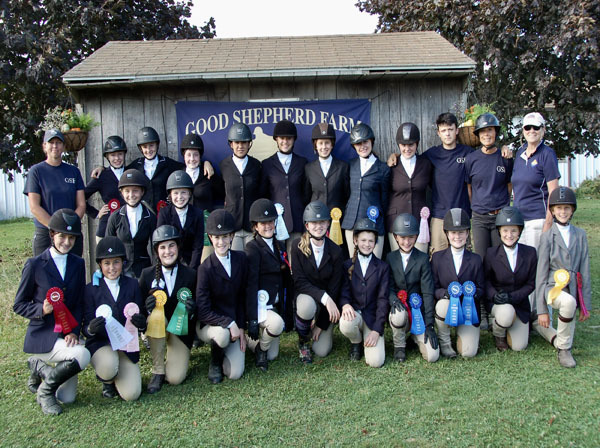 At IEA National Finals at the Virginia Horse Center the Middle School Team went on the finish in 3rd place out of 24 competing teams! 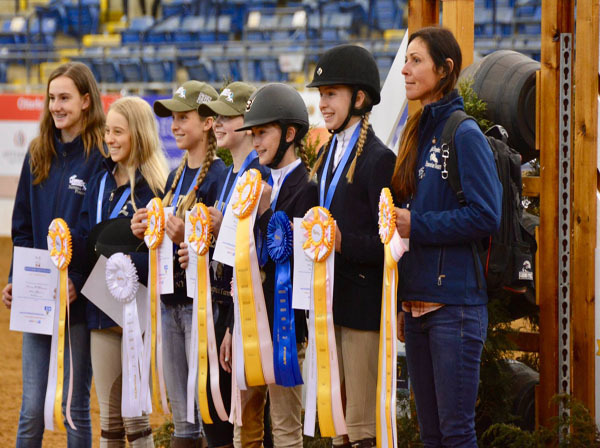 For the 2017-2018 IEA season that just concluded, both Teams once again had great years. 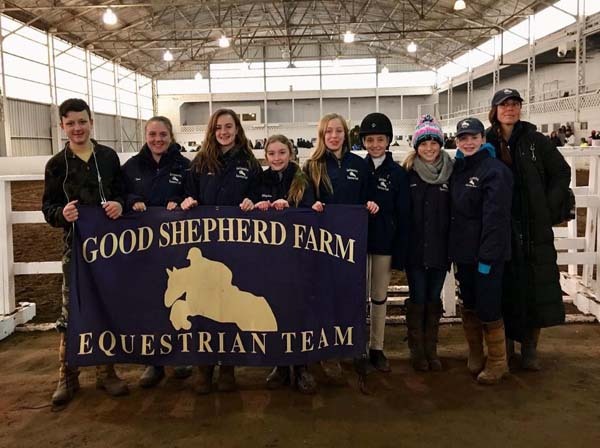 The Middle School team had an excellent regular season finishing in 1st place, while the High School team had a great day at Regional Finals and qualified for IEA Zone 2 Finals. 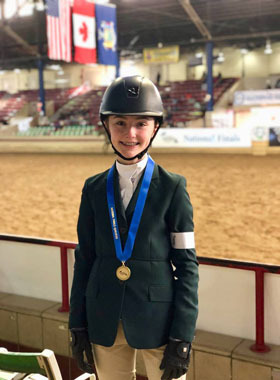 GSF Middle School rider Meghan O'Brien rode at IEA Zone 2 Finals as an Individual and took home a 2nd place ribbon, earning her a trip to Syracuse, NY for IEA National Finals. She didn't get a ribbon at Nationals but did a great job representing Good Shepherd Farm!